Each year at this back-to-school season, we teachers feel filled with anticipation, motivation, hopes, and some nerves. I don’t know a single teacher – no matter how veteran – who doesn’t still have a bit of anxiety going back to school. And I think part of the anxiety is because we want to get better and better every single year. We raise the bar for ourselves with each new school year! 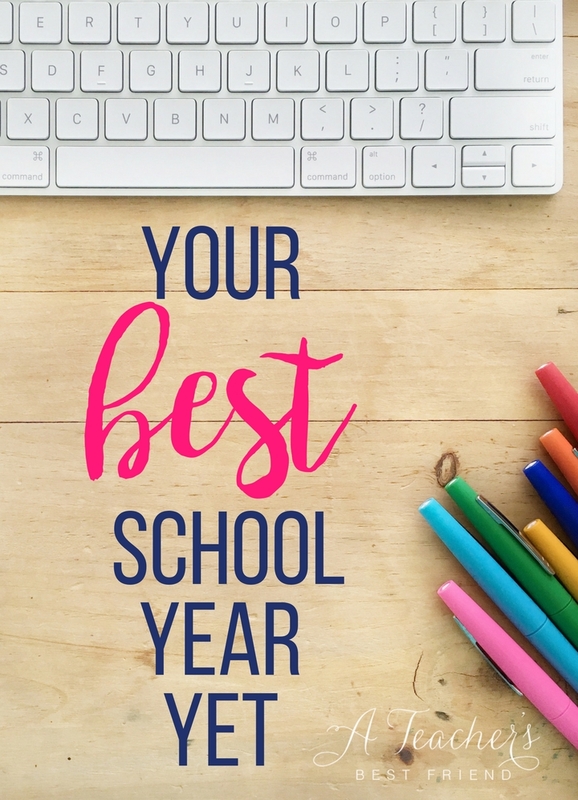 So…How can you set yourself up to have your best school year yet? The other day I took my daughter to the city pool. Well, it’s more like a water park to be honest! It has twisty slides, a lazy river, and two larger than life diving boards. Camryn worked all summer to be able to jump off the diving board. And when the day came, she ambled her way up, goggles secure, walking to the edge of the board to hang her toes off the edge. Then, without hesitation, into the water she went, with the sweetest smile in the world. Unfortunately, when she took her first, glorious jump into the water, her once-secure goggles slipped off and fell down down down to the bottom of the 10 ft. deep pool. She surfaced triumphantly and then quickly panicked realizing she had lost them. So, while I didn’t want to get my hair wet, being mama bear that I am, I took a really deep breath, sunk into the water, and pushed my way to the bottom of the pool to get the goggles. I feel like this time of year is just like the moment when I decided to go ahead and go get those goggles. I know the look on her face will be worth it when I surface with those goggles – just like we know those seeing the progress our students have made at the end of the year will be totally worth the inevitable stress and struggle. But the beginning of the school year is still sort a collective “here we go” and a huge inhale. We prepare. We plan. We decorate. We letter. We copy. And we pray. We get everything ready for our students. But not enough of us take time to prepare our own hearts and minds. I’ve been working through this with some of my clients in the past couple of weeks. So I wanted to share these thoughts (and a free printable) with you on setting yourself up for your best year yet. 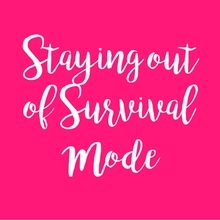 It’s frankly because we are well-rested and have taken lots of time over the summer for the other things that matter in this life – our families, our hobbies, our friends, and ourselves!! It’s important to keep those areas of your life balanced all year long. And yes, that may mean not having the cleanest, cutest, most perfect classroom. And it will mean sacrifice – the school year always does. But instead of always sacrificing things that are important to balancing you out, think about ways to spread the sacrifice around a little bit. Sacrifice perfectly labeled book bins for a few more minutes with family. Easier said than done, Alison!! So here is the question to keep in mind – what is good enough? It’s important to shift our tendency for a perfectionist mindset (“It’s only good enough if it’s perfect”) to a “good enough” mindset (“Whatever I can do is good enough. period.”). Set “good enough” goals around each of the areas of your life: school, family, friends, self-care, faith, fun/hobbies etc. 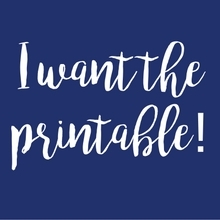 Write them on this printable worksheet I made for ya. For example, it’s good enough for me to have a large extended-family dinner once a month. No need for this to be an every week thing – although I would love that! Instead, I’m happy to do once a month! It’s good enough for me to maintain those wonderfully important relationships and see my daughter play with her cousins. So – think about each area and develop a goal that is good enough in terms of how much time you will devote to that area of your life. Then, literally map out a good enough week for yourself. I split a piece of paper into 7 sections for each day with a time scale down the left hand edge – like the one I’ve created for you here. I block out time (including when I want to go to sleep so I make sure I’m caring for myself and my body). Check out my example on the last page of the printable so you know what I’m talking about. I also created a section for you to brainstorm your “good enough” goals so that you can keep track of your intentions. Now that you have your ideal weekly schedule, print another blank schedule each week (I usually do this on Sundays) to plan out what your week this week will be like. As you’re planning, remember to keep the “good enough” mantra in mind – What is “good enough” this week? We cannot do everything or be everything to everyone. We can only be ourselves and do our best! And our best doesn’t just refer to our profession – it refers to the amount of energy we can give to each area of importance in our lives. Think through your week like you have a choice about your time. 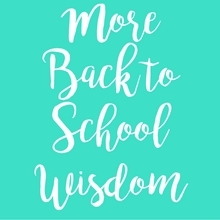 Small, intentional actions are the formula for maintaining your happiness this school year. And I guarantee that if you focus on having your most intentional school year yet, it will turn out to be your BEST school year yet. Thanks for the great words! I’m excited to have a Good Enough year.